Spread tortilla with peanut butter. 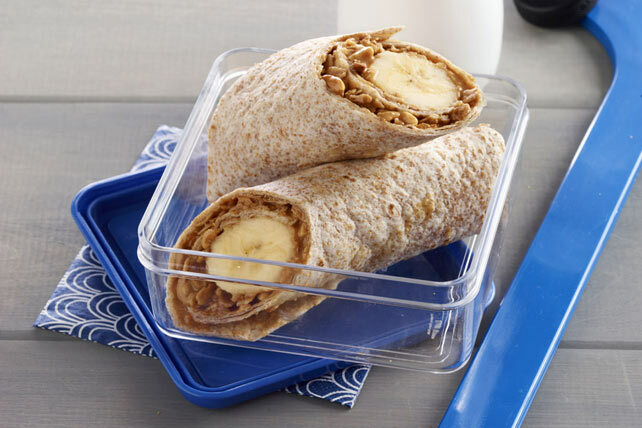 Top with banana and granola; roll up. Substitute 6 thin apple slices for the banana. This easy-to-make snack provides a very high source of fibre.